If you have Irritable Bowel Syndrome (IBS) you have probably seen several doctors. You may have been referred to a gastroenterologist or seen several specialists. You may have been given a secondary diagnosis, like PI-IBS, gastroparesis, or SIBO. But despite all their tests, colonoscopies, and prescriptions, you still have symptoms. You are still sick even after all the medical care you have received. You might feel you are all alone, or that yours is a very special case. But actually, you are in the majority. Nearly all patients with IBS experience the same thing: Lots of expensive medical care, but no real results. The IBS Treatment Center is different. Our doctors are IBS Specialists – the only dedicated IBS Specialists in the world. We cure the vast majority of our patients and end their symptoms. So why can we do that when your doctor can’t? The answer is that we simply approach the entire situation differently. Have you ever gone to the doctor or emergency room with flu-like symptoms, been told you have the flu, given some medicine and sent home? Did they even test you to see if you had the flu? You may remember back in 2014 when a man with Ebola was sent home with Tylenol and antibiotics without being tested at all. This is because the standard of care for fever, and his other basic symptoms is to provide medicine without even testing. This is very common in medicine. The standard of care for IBS assumes that it can’t be cured and that the best outcome is to limit your symptoms by using drugs or strict, one-size-fits-all diets. Nearly all doctors, including specialists like gastroenterologists provide care based on the standard approach. Under this approach, you are not expected to get well, but rather manage your illness. 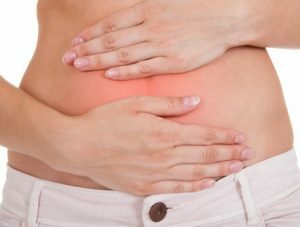 The vast majority of patients who have IBS get this care. They often do get tested for dangerous conditions, like colon cancer, but almost never learn why they have symptoms or get cured. The IBS Treatment Center is different. Our approach is to keep investigating until we find out why you are having symptoms, identify the cause, and then provide treatment that solves the problem and cures you. You might think this is common sense, but it is not how medicine usually works. Most doctors stop testing after a few common tests. Our doctors go way beyond the basics and have a huge array of testing and treatment options that have enabled us to cure thousands of patients from all over the world. There is no single cure that is appropriate for all patients. It is absolutely essential to approach each patient as a unique case. Not like in standard medical care.